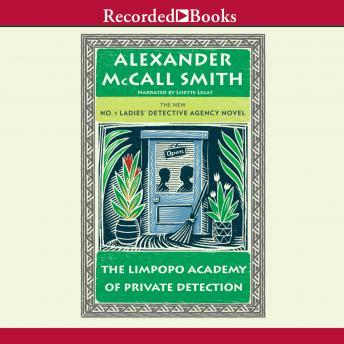 Alexander McCall Smith's No. 1 Ladies' Detective Agency series has become a worldwide phenomenon thanks to the appeal of endearing protagonist Precious Ramotswe and the author's charmingly quirky prose. In this 13th installment, Mma Ramotswe's attention is focused on a pesky disciplinary problem at her adopted daughter's school while Grace Makutsi adjusts to wedded bliss and the famed Clovis Andersen arrives in Botswana looking for more than bush tea.